The 10th annual Aurivo Milk Quality Awards recognised the standard of excellence in dairy farming by Aurivo suppliers in the region. The Awards highlight the dedication and commitment of Aurivo milk suppliers for their milk production in 2016. Patrick O’Boyle from Ballina was acknowledged for his contribution to dairy farming excellence at the awards ceremony held at the Radisson Hotel Sligo. He received the award for the Most Improved SCC from 2015 to 2016. 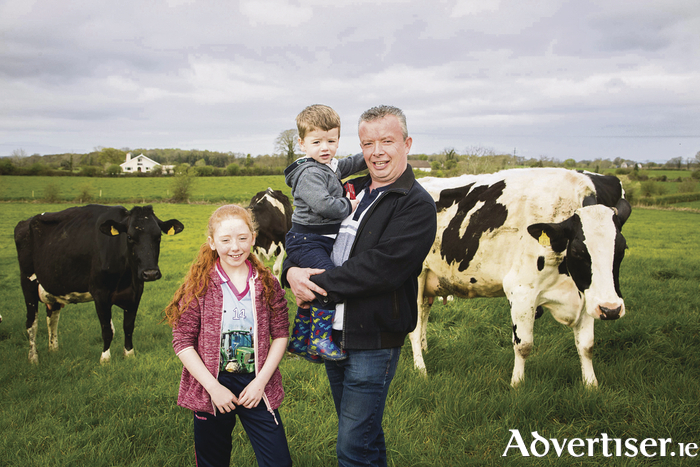 O’Boyle began milking in 1999 at his farm in Knockmore. Today, he milks 39 Holstein Friesians on his 40 acre farm. He credits his improved somatic cell count to the adoption of good farm practices; the use of teat seal technology, and culling of persistent high cell count cows. Page generated in 0.1379 seconds.